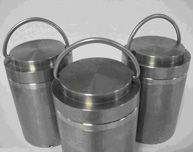 A particularly dense material with excellent shielding properties is needed to ensure that the surrounding tissue is protected and the radiation guided only to the intended locations--High density tungsten alloys are widely used as Medical and Industrial Radiation Shielding. 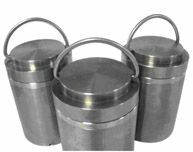 Our tungsten alloys are used for radioactive source containers, gamma ray protection, radiation shields, x-ray shielding and source holders for oil-well, logging, and industrial instrumentation. We can also use our tungsten alloys to make collimators and shielding for cancer therapy machines, and as syringe protection for radioactive injections. There is no licensing required for tungsten alloy materials. Tungsten alloys are stable at high temperatures. You can use one-third less material than lead for the same energy-absorbing effectiveness, meanwhile it is non-toxic. You can use our high density tungsten alloys wherever radioactivity has to be controlled and directed. Stanford Advanced Materials specializes in producing tungsten shields according to your drawing. Please send your drawing to sales@samaterials.com. 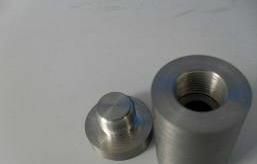 Below is some tungsten shielding parts.